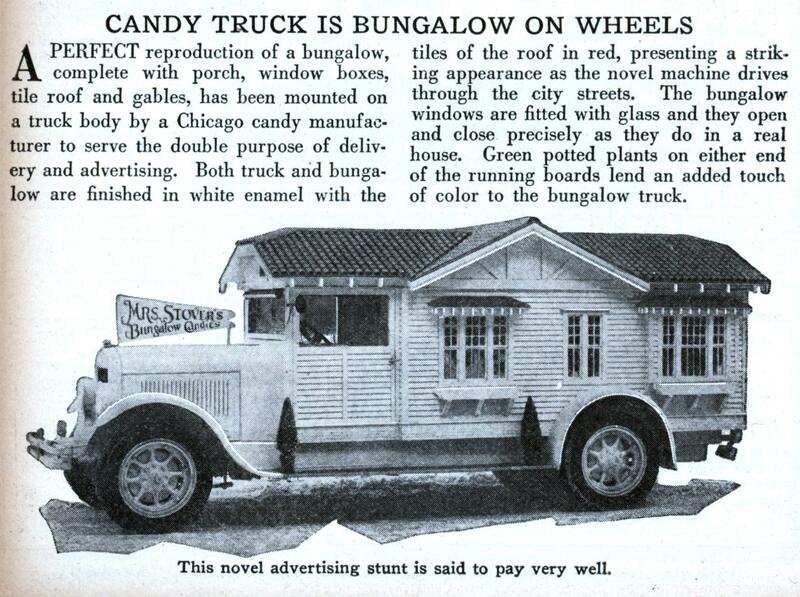 A PERFECT reproduction of a bungalow, complete with porch, window boxes, tile roof and gables, has been mounted on a truck body by a Chicago candy manufacturer to serve the double purpose of delivery and advertising. Both truck and bungalow are finished in white enamel with the tiles of the roof in red, presenting a striking appearance as the novel machine drives through the city streets. The bungalow windows are fitted with glass and they open and close precisely as they do in a real house. Green potted plants on either end of the running boards lend an added touch of color to the bungalow truck. The exact opposite to an airstream travel trailer! Perhaps Winnebago could build it. The sign over the hood says “Mrs Stover’s Bungalow Cookies”. 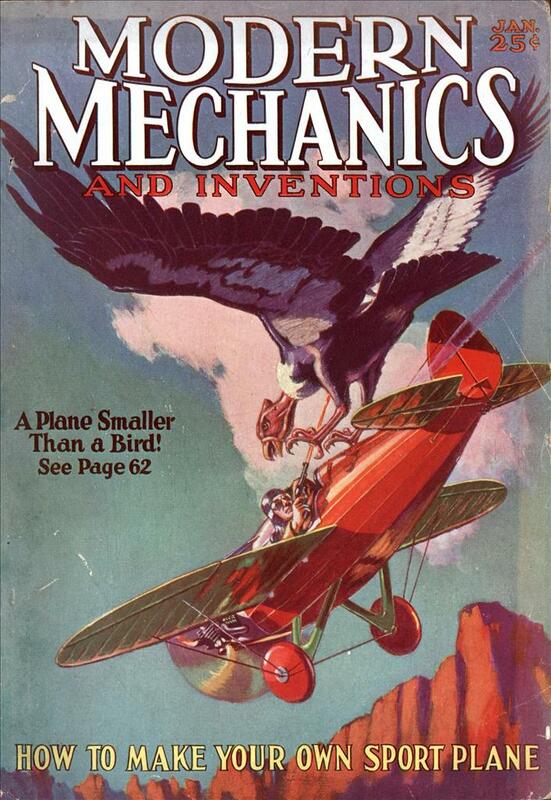 That sounded somewhat familiar, and a bit of web searching confirmed that the company became known as “Russell Stover”. I even found a picture of that truck on their website. Click on photo number 11 on their history photo album for a view of the truck. Photo 6 shows the “bungalow cookies” signage prominently displayed on a store. Photo number 11 from their album has the truck. Photo 6 shows the “bungalow cookies” moniker displayed on a storefront. Richard: If your post doesn’t show up immediately allow a decent interval for Charlie and his Minions to “de-spam” it before posting it again.